Recorded at Skyhammer Studio last October with Chris Fielding (Electric Wizard, Conan), this is a solid and intriguing follow-up to ‘Carnal Altar’. 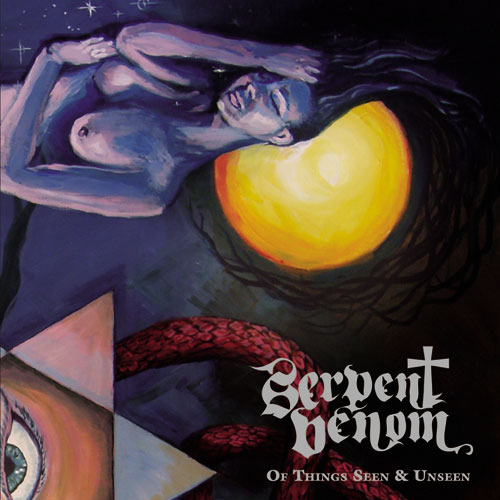 ‘Of Things Seen And Unseen’ sees Serpent Venom enter a new stage in their musical progression, creating deeply personal, immense and traditional doom metal with a deadly bite. This entry was posted in REVIEWS, Uncategorized and tagged Album review, carnal altar, church within records, doom, of things seen and unseen, serpent venom. Bookmark the permalink.